I have been back at work for just over a month and maternity leave seems like a distant memory already. Before I went on maternity leave I had visions of what it would be like. Coffee dates, trips to the park, crafting afternoons with my two little ones. In reality? It was me just making it through the day! 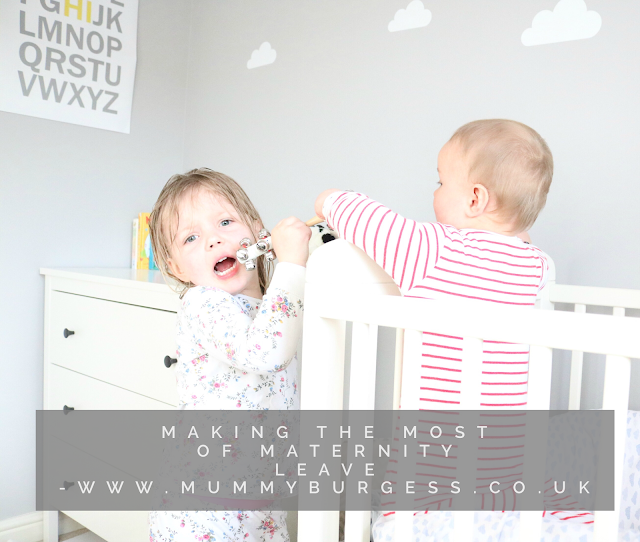 I now have two maternity leaves under my belt, so I thought I would share with you a few tips to ensure that you really make the most out of maternity leave. 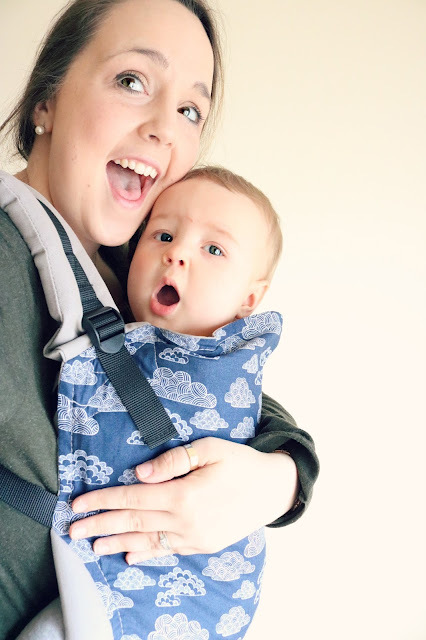 There will always be times when your baby wants to cuddle all day long, whilst that is lovely, and by all means make the most of these precious snuggles, but there are times when you just need to get "stuff" done. My answer for this is, baby wearing!! I never really baby wore with Darcie, I had a high street carrier with her and it was majorly uncomfortable and gave her very little support. Safe to say, I was never really sold on the idea. However, when I was pregnant with Henry my lovely friend gave me her wrap that she used with her daughter. It was amazing! So comfortable and Henry seemed to like it too - it gave me the opportunity to get on with housework or play with Darcie, whilst he was happy and content. Winning! This is something I did all the time on my first maternity leave, it really was something that kept me sane and gave me a huge confidence boost too. It was a wonderful way to meet other new mums, chatting all things baby and giving each other support. I also made two lifelong buddies who I now speak to almost every day. Of course, they're brilliant for baby's too. Taking them to messy play, musical classes, engaging with other babies and taking part it new activities is all fantastic to their development. Lastly, it also gives you some much-needed structure to your week. Whilst on maternity leave, money is obviously tight. However, there are so many free activities that are available so make the most of them. Your local SureStart Centre will have a whole timetable of activities which a free, from Baby Massage to Wiggle and Jiggle (a musical group). Of course, you can head to the local library and parks. A baby really doesn't need lots of money spent on them, a bit of fresh air is good for both mamma and baby. My slow cooker has always been my saviour, even more so when I was maternity leave. When Henry would go down for his nap I would prep dinner and let it do it's thing until it's tea time. So, that meant no stressful rush to get it all done. Whilst spending lots of time bonding with your baby, remember to take some time out for you. A happy mamma makes a happy baby. A newborn requires a lot of attention and is completely reliant on you, whilst this is wonderful and completely magical - it can be quite demanding at times. Be sure to take some time out to rejuvenate and recharge those batteries. This can be done in so many way's, taking a bath or even just going for a walk, my hubby would often play with the children whilst I could have some peace and quiet. Blissful. In a way, I'm very lucky that Darcie can entertain herself so well. A lot of these "me time" moments wouldn't get done otherwise! So whilst I look back on my own maternity leave, I implore all mummy's and mummy's to be to enjoy the special time with your little ones. Do you have anything you particularly loved about maternity leave? Any tips for mum's to be?